Sachtler Ace series tripod, 75mm in bowl size, targeting at professional yet with affordable price range without compromising its well reputed quality. With entry level of Ace M series capable of handling 4 kg cameras load for price below USD 700.00 , this is first ever in the history that Sachtler offers at this economical price . Complete fluid head offers smooth pan and tilt action with 5 step counterbalance. Sachtler Ace M series comes with 2 models , mid and ground spreader with alloy legs with 2 stage ( 1001 and 1002). To lighten the organic overall tripod weight yet able to increase the payload capacity, Sachtler now offers you Aces L-series. With Carbon fiber material built for its tripod and professional fluid head for weight of less than 4 kg and yet it is capable of handling 6kg payload. Like wise it has 2 models to meet your requirements, namely Mid and Ground spreader. ( 1011 and 1012) all incorporated a 7 step counterbalance. Last but not least Sachtler Ace also produces unique spread-less carbon fiber (1013) tripod weight just 4.1kg , with 7 step counterbalance. All Sachtler Ace tripods come with a standard well designed hand carried soft bags. 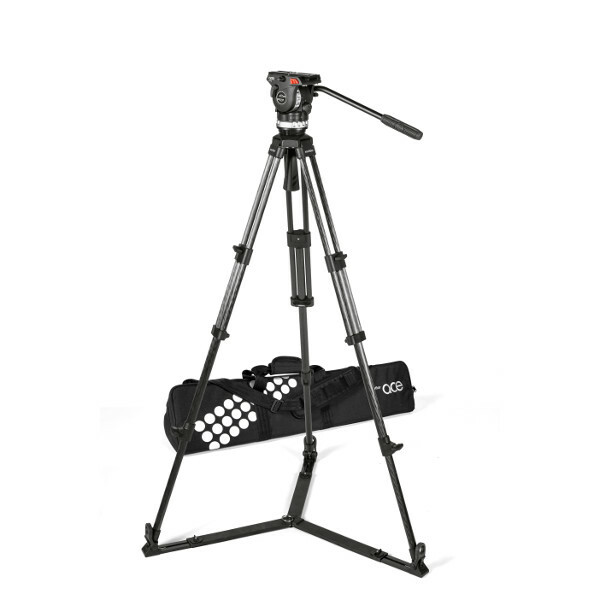 Sachtler has wide range of quality products in camera support which are cost-effective. Sachtler products are high-grade, flexible and strong that fulfill the needs of cameramen's everyday work in serious climatic situations around the world. The company develops sturdy, quick and genuine tripod heads, tripods and pedestals to give cameramen the best footage with high quality ever. Sachtler fluid heads have capability to accept the payload from 0-140 kg. Its head fitting sizes are 75mm, 100mm, 150mm and Flat Base. Sachtler Tripod heads provides Snap & Go side-loading mechanism. This makes the tripods heads to be mounted fast and easy. 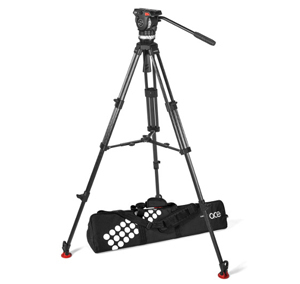 Sachtler Aces are suitable for latest camcorders and DSLR Cameras. Sachtler tripods are made up of two kind of materials. They are built using aluminum and Carbon fiber. 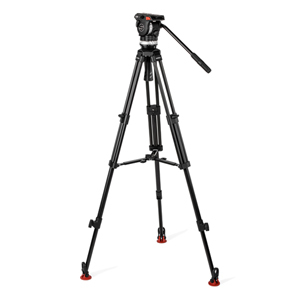 Sachtler aluminum tripods can carry payload up to 0-140kg whereas carbon fiber tripods can hold load up to 0-95kg. Pedestals produced by them are ideal for studio and OB applications. Sachtler Pedestals works with Crab & Steer function which transforms the pedestal so that it is flexible and easy to use. Sachtler pedestals have special option so that it could be splitted as dolly, column and hand wheel which makes it easy to transport. Quick fix connection in pedestals help us to connect the fluid head easily. Sachtler products can be used in different industries like TV stations, Production houses, Wedding crew, Documentary production, Studio and Live events. This is the best fit for my DSLR cameras Canon 5D MKII, I have now complete control of where I want the shooting angle to be, the smooth Pan- tilit and drag is what I like the most. My Friend recommended to buy a Sachtler Ace, least I do not know there are several model available. As I needed A smooth Fluid head tripod for less than 4 kg, thus I have selected Ace 1002. Hope to see you again in your Singapore store. I have Bought the Sachtler L series, as the capacity is 6 kg as compared M series which was my original choice. L series not only lighter but the reach is higher, Many thanks for the advice. Trade in Program possible ? 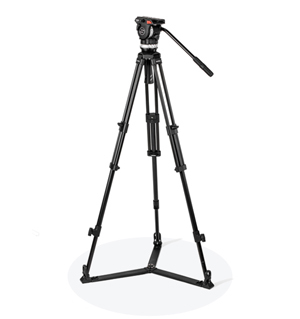 I would prefer to have Sachtler 6 or Sachtler Ace L series, Can I trade in my current Sachtler Ace Tripod ? I have noticed both Sachtler Ace and Sachtler FSB4, are having the same leg, except for the tripod head. FSB4 tripod head is definitely better than Ace, except the price.